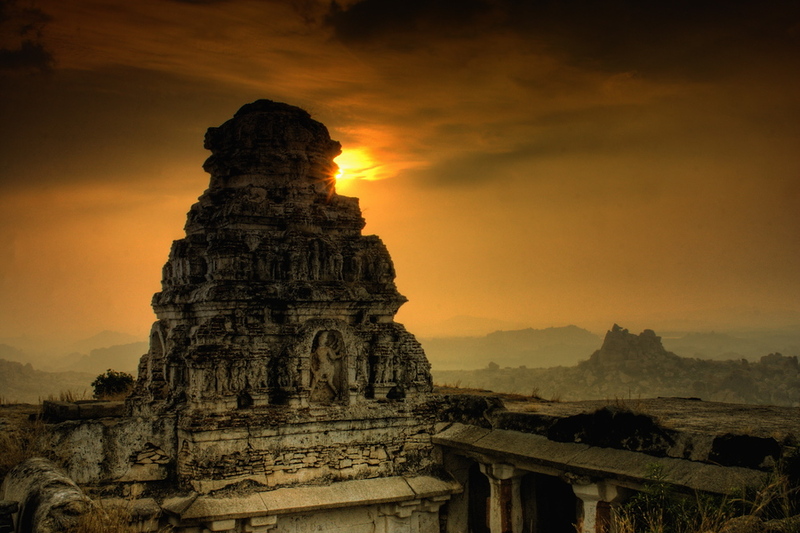 Hampi, apart from the historical ruins is an awesome place for trekking and rock climbing too. Matunga hill @ Hampi is one of the best spots for watching sunrise. the hike is a bit on difficult side, especially if you are not aware of the route. It is better to have a guide if you planning to hike up in the dark for sunrise. But the views are well worth it, they are pretty amazing. This week shot is of the temple ruins, right on top of the hills. The sun was playing hide and seek as the mist was starting to clear. This was taken just moments after the sun rise shot that I had shared in the past. wow the scene changed so dramatically with light , angle and direction ! Update : Sorry, the deal is dead. Not sure why, It was supposed to be active thru Mar 2, 2012. On a different note, if you are into photography and were looking to buy Photoshop, now is the best time. There is a huge sale going on @ Adobe site. The current version of Adobe Photoshop CS5 Extended can be got for $39, yeah you read that right – $39. The Student version generally sells for $199 (and the original without discount sells @ $699) and there is a 80% additional off, if you use the code SAVE80EDU. You could even get this for your kid who is in kindergarten – all you need is a student ID card or an appropriate school document. If you don’t have a student in the family, now is the time to join that course that you were eying for a long time ! The lower price is probably because of the fact that next version of Photoshop would be out in couple of months, but @ $39 I am not complaining :) The deal is supposed to be on till March 2, 2012, Go grab it while it lasts !!! Beautiful photo! :) It’s exceptionally brilliant. Incredible image and thanks for the tip on Photoshop. Bikram & Edith – Thanks for the compliments. On the Photoshop, yeah it was a real steal. Unfortunately the deal is dead now. The coupon code is not working at this point.